A Muaniweni woman who was 16 years old during the events of 2000, last night described the horrors women in her family and community were subjected to during the lawlessness which followed George Speight’s coup of May 19. She did not want to be identified but spoke about how she saw the events unfolding as a teenager and compared that to the religious vilification which is rampant on social media these days. She spoke during a talanoa session organised in light of spate of sacrilege and break-ins into temples around the country from late last month. 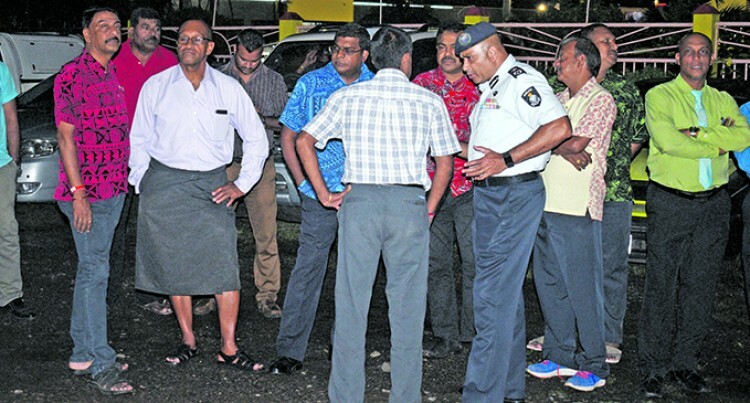 The public forum was attended by Fijians and Attorney-General Aiyaz Sayed-Khaiyum and Commissioner of Police Brigadier-General Sitiveni Qiliho spoke to them. Also in attendance were Employment Relations Minister Jone Usamate, Local Government Minister Parveen Bala, Waterways Minister Mahendra Reddy, Assistant Infrastruture Minister Vijay Nath, Members of Parliament Ashneel Sudhakar, Alvikh Maharaj, senior Police officers and even National Federation Party member Prem Singh and a number of other NFP members. The woman questioned what was being done to stop the religious vilification and to assure Fijians that there will not be a repeat of 2000. Mr Sayed-Khaiyum applauded the woman’s bravery and agreed that the silence from other political parties to denounce the level of hatred perpetuated on social media was an indication of where their support lay. He said the FijiFirst party was the only Government to openly speak in Parliament in previous sessions about what illinformed hatred can do to this country. He called out the NFP for not speaking out in Parliament and even outside Parliament about those horrors and the fear-mongering which led to the coup of 2000. Mr Sayed-Khaiyum said people needed to have the courage to stand up and confront these issues and not be weasels about it. His comments were followed by applause from the people. And his comments on misinformation on social media were proven true within minutes of the meeting started. Mr Qiliho informed the people that a group of four were responsible for series of temple break-ins into temples along Suva-Nausori corridor. However, minutes after the meeting started, a status was posted on social media that a number of attacks had happened. Police had not arrested anyone for the last 100 days. The person, Ajendra Kumar, posted as fake news that Hindus were under attack. The update was shared on a number of pages on Facebook falsely claiming that Government was not doing anything. This was posted despite Mr Qiliho informing people minutes prior to that that two people had been arrested, including a woman, and that a task force of 20 officers had been formed to apprehend other members of the group who were also allegedly involved in five other major robberies. The status update was brought to Mr Sayed-Khaiyum’s attention who said it was such instances of deliberate misinformation which was being used for political mileage by supporters of some political parties and the reluctance of political party leaders to denounce it was tantamount to adding fuel to fire.